Would you love to understand and be part of the world of music? Music belongs to everyone, but how to approach it? Have you thought you would like to learn to play piano? This is so possible, and at any age! As an instrument, the piano is a magical device which can communicate everything from a singing voice to orchestral sound. This makes it uniquely satisfying to play. While you can play with others, with all the joys collaboration affords, playing music simply for your own pleasure is extraordinary, and sharing music with friends is also rich and rewarding. 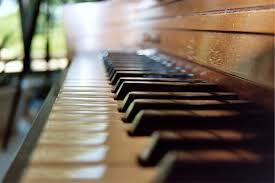 Whether you are a beginner or want to recommence with adult piano lessons, there is a song waiting to be played. Are you ready? Many people played as children, but grew discouraged, had inadequate instruction, or just wanted to go outside and play, and now regret giving up the journey. Others were never offered the opportunity. But how many children know or understand the amazing gift of developing a skill that can entertain one throughout life? Growing into a musician means playing, developing, singing, communicating, sharing, deepening in ways crucial to the human experience: music engages the whole brain and being. I didn’t know this as a child, but somehow, I stayed with music all of my life. It all went into the pot: playing from age five, a Bachelors in Music from Peabody Conservatory of Johns Hopkins, a career in classical guitar, teaching at Trinity College, a Masters in Music Education from Holy Names (Kodaly Emphasis), then many years teaching both private lessons and in schools. Today, I have a private practice where I seek to find committed and inspired students with whom I may share my bag of tricks. My student Zoe Appleton once said to me, “When I sit to play the piano, I forget about everything else.” In this highly distracted, noisy and fast-paced world, playing an instrument is such a gift, and one you give to yourself. You may be asking, piano lessons for beginners? Me? Learn to play piano? An entirely new language? The answer is YES, and let’s have a good time doing it! My primary goal as a teacher is to have fun with a deeply serious intent, with students intently serious about having fun! I look forward to hearing from you and beginning your journey. Serving all of Marin County, including Fairfax, San Anselmo, San Rafael, Mill Valley, Novato, Greenbrae, Corte Madera, Larkspur, Terra Linda, Sausalito, Kentfield, Tiburon, Ross, Belvedere.